At Blue Springs Siding and Windows, we believe that no home is ever truly finished. From window installations to roof replacements and brand new sunrooms, there are countless ways to improve your home’s aesthetic appeal while also increasing its overall value. 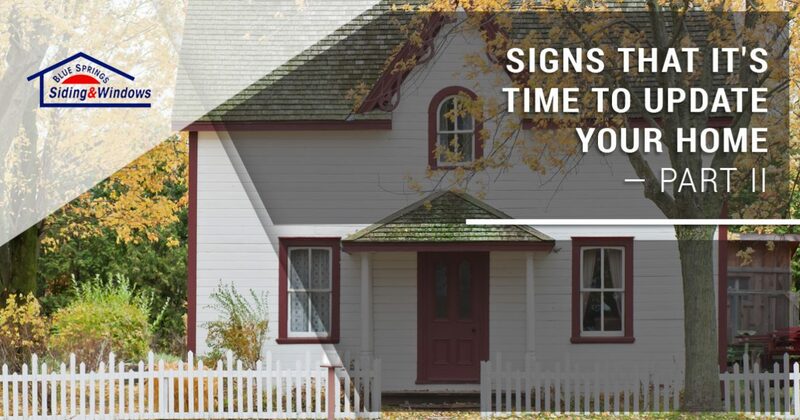 In a previous post, we provided you with information about a few of the most common signs that it’s time to update your home. We’ll continue to explore that same topic in today’s post with a specific focus on windows, siding, and doors. When you’ve finished reading today’s entry, be sure to get in touch with us through this page to request a free estimate for your home! Aging windows are an eyesore. Between clouded glass, cracks, and faded frames, outdated windows can easily make your home look significantly less appealing. At Blue Springs Siding and Windows, we’re proud to provide some of the most beautiful and durable replacement windows on the market. 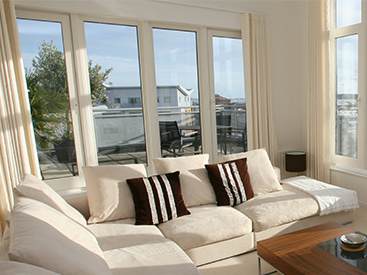 We have everything from picture windows to bow and bay windows, and our window installation experts will ensure that the entire process goes smoothly. You’ll love the additional sunlight and ventilation they provide in the summer, and the thermal retention they provide in the winter is second to none. Visit this page to learn more about our window installation options! Much like your windows, your home’s siding can make or break its curb appeal. Beautiful vinyl siding can make your home the most eye-catching residence in the neighborhood, but damaged and fading siding will almost always make your home look like it belongs in a scary movie. If you notice that your siding is beginning to chip, crack, or warp due to water damage, then get in touch with our siding contractors to learn more about the products we offer. 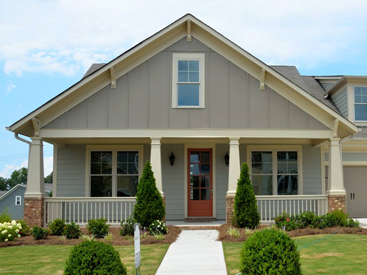 We have standard vinyl siding available in a variety of beautiful colors, and we also supply James Hardie siding for those who want the toughest siding on the market. 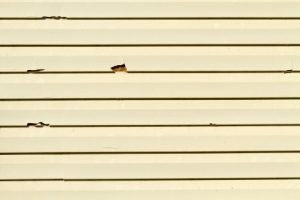 Be sure to read parts one and two of a previously published series if you’re interested in learning more about the signs of damaged siding! When was the last time you replaced one of the doors in your home? 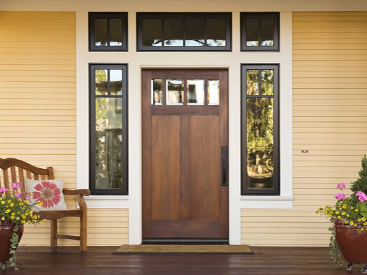 If you’re like most homeowners, then you probably still have all of the doors that were installed when your home was originally constructed. Whether you want to improve your master bedroom with a beautiful set of French doors, add a gorgeous sliding door to your patio before summer is here, or replace your old and outdated entry door with one of our state-of-the-art models, we know that you’ll find the perfect replacement door for your home in our showroom. Visit this page to learn more about our door installation options, and refer to this post for an even more in-depth explanation of why a door installation is a smart decision. We hope that this two-part series will help you determine if now is the ideal time to invest in a home improvement project. Keep an eye on our blog page, as we’ll continue to provide you with even more information and helpful resources in the coming weeks and months. Blue Springs Siding and Windows is here to help you with anything from a single window installation to a full-scale siding installation. Come by our showroom at 2201 Northwest Jefferson Street to view all of our products for yourself, or fill out the form below to request more information about our services.